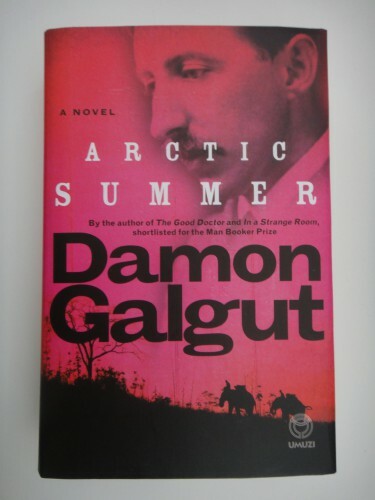 Damon Galgut is a South African novelist twice nominated for the Booker Prize for The Good Doctor and In A Strange Room. After his semi(? )-autobiographical novel, In A Strange Room, Galgut has moved onto full-blown biography. Arctic Summer is not, as the title suggests, about underwhelming warm seasons. No it’s a fictionalized (but accurate) biography of E.M. Forster, author of Passage to India. Following the posthumous publication of his book Maurice, the world caught on that Forster was gay. A minorite, Forster called himself. In early 1900s Britain, homosexuality was as unfashionable as it ever was (illegal actually) and the book reminds us that Oscar Wilde was jailed for said offence not so long ago. Arctic Summer is an attempt to reconstruct Forster’s experience of living with his true nature kept secret. The heart of the story is Forster’s close friendship with Syed Ross Masood, to whom Passage to India is dedicated. The novel does break out of Forster’s life. At times it becomes more of a historical novel framed by a biography than a biographical novel enlaced with history. The British colonization of India and the politics and racism along with it are excellently captured. There’s an understanding of both the British and the Indian cultures that helps us readers bridge the gap between the two. And Arctic Summer sugarcoats very little: the ugliness of colonialism comes through and we’re shown the British class system along with all it’s hateful elitism. Back to Forster: Arctic Summer is personal. It’s introspective, and let’s us quite deep into what Galgut assumes is in Forster’s head. Of course, it is impossible to know what a man was thinking 100 years ago but I hear that the novel is accurate with regard to historical facts and and Forster’s behaviour. I’m hazarding an uneducated guess that many of the details regarding Forster’s relationships with various men are fictionalized to some degree, but it would have been criminal to let factual uncertainty get in the way of a good story. And Arctic Summer is a good story. I actually wondered at times if Arctic Summer was written by the same writer as The Good Doctor and In A Strange Room. The sense of bleakness is not present, replaced instead by an air of mystique and adventure. Arctic Summer feels like a more traditional novel than Galgut’s others (longer too) but further in, there are the familiar themes that I’ve come to know Galgut by: the sense of isolation, of not belonging; the lack of closure and the imperfection of human relationships. And all of these themes fit with Forster’s story. His struggle with his sexuality and his failures to connect with people because of it make fascinating reading. But more than that it allows us to empathize with someone who society respected, but not for being himself.